Ok, who stole summer? Anyone had enough of this unpredictable weather! 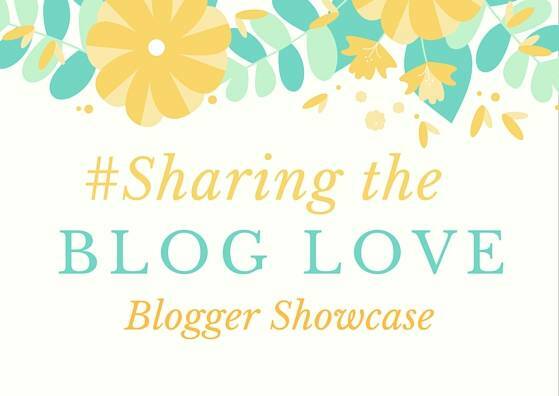 Anyway back to #SharingtheBlogLove and sharing my favourite posts from last week. We are changing things for August, pop over to the main linky post if you missed the news! When you become pregnant whether its the first time or the fifth time your body will change and it can be hard to accept. This post from Susie, Learning to accept body changes during pregnancy, is such an honest post about Susie feels about her body at the moment. I didn’t struggle with my body that much whilst I was pregnant, it’s now that my family is complete that I’m struggling to love it. If you have advice for Susie on how she can love her body again, please pop over and let her know. Looking for a fun summer craft to do? Head over and take a look at how to make colourful lady bugs. These are so cute and not only are they fun to make with your children, but they make the garden look pretty too. My girls would love these! Reading this post by Hayley, My Kids Won’t Sleep, my heart goes out to her. We had a particularly bad year of sleep and looking back now I really don’t know how I functioned and how we worked as a family. But we did! It makes me sad to hear Hayley feels like a failure at 3am when her kids are not asleep. My mum always said to me there are two things you can’t make people do and that is eat and sleep. It’s so true, yet I know that it’s hard in the middle of night when your alone to think about it rationally. Be kind to yourself Hayley. I love finding new recipes that I know we will love as a family, I often find we cook the same meals over and over. This looks delicious, Vegetarian Feta Cheese, Sweet Potato and Spinach Pie. Holly can be a bit of a fussy eater at dinner time, but she loves pie and this would be perfect for her. It’s nice to have a more light filling pie in the summer too. If you missed any of these last week it would be great if you popped over to one of them and gave them some love. Also, if you missed the news we are making August a monthly linky, so I will be back in September to share my favourite posts from August. The sleep thing is tough, we only had to go through it once, so having 3 must be horendous.